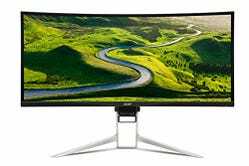 If you have a multi-monitor setup, you’ve probably been tempted by the sleek, clean look of an ultrawide display, but can ultrawides really replace two monitors? As always, it depends on how you use them. Let’s start by talking about what makes multiple monitors great: screen real estate. 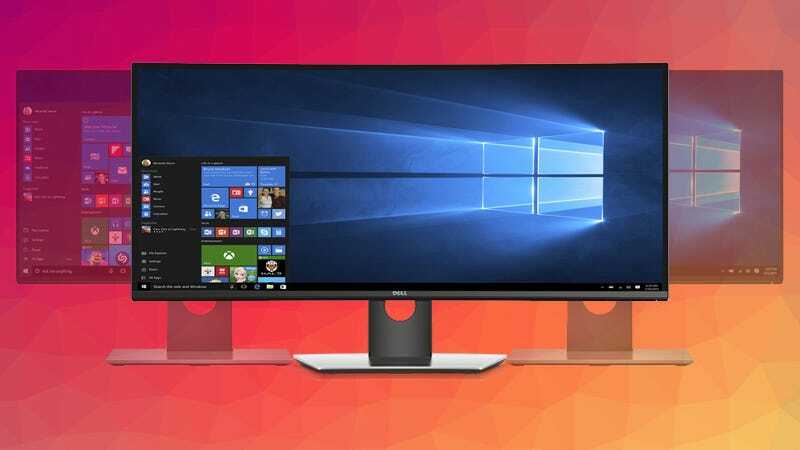 While one 16:9 widescreen monitor provides more than enough space for one window, it starts feeling cramped as soon as you want to look at multiple windows at a time. Writing a document on the right and need to refer to one on the left? It can be done, but you’ll be squeezing both down to fit everything. 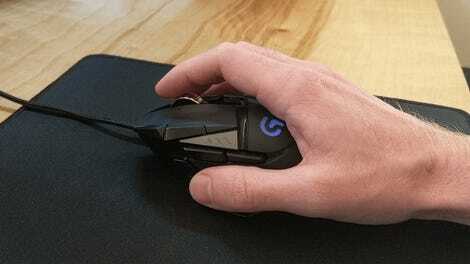 Want to watch a video while you work or game? You can do it, but one of the windows will likely be incredibly small, more like picture-in-picture than side-by-side. Dual monitors increase the amount of desktop space you have so you can do all this and more. Put two large browser windows side-by-side, watch a movie while you game, or even work on two computers at once using Remote Desktop. You can also put your main “active” window on one monitor, with other “always-open” windows on the other, so you can refer to them without bringing them back into focus. See the above photo for my setup, in which I “dock” Twitter, Slack, system monitors, and other windows on the left monitor—this allows me to follow along with news or ongoing conversations without constantly clicking between windows. This is all amazing, but it comes with a few notable downsides: first, it doesn’t really add anything to your gaming experience, since it’s difficult to stretch a game across two monitors with those bezels in the center. In addition, it takes up a lot of space—I literally need an 80 inch desk to fit my PC, speakers, and dual monitors all on one surface. You may also be limited by your computer’s output ports, particularly if you’re using a laptop and want to use two external displays. You can work around these things, but ultrawides don’t require you to. 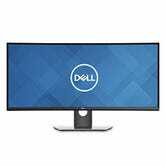 “Ultrawide” monitors, which usually come with an aspect ratio of 21:9, offer a lot of the benefits of dual monitors without the hassles. You don’t need multiple outputs on your computer, they don’t take up as much space, and they don’t have ugly bezels in the middle. On the productivity side of things, ultrawide monitors provide a lot of the same benefits dual monitors do. You can easily put two full-size windows next to each other without having to squish them down. You can easily watch a video while typing in a document, and you can dock larger windows to the sides where you’ll always see them. 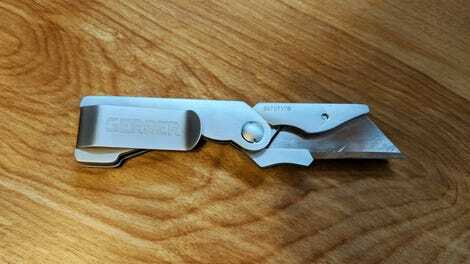 They’re also fantastic for things like video or audio editing, since you can maximize the window for one super-long timeline with all the toolbars you could ever want. However, 21:9 does not provide the same amount of real estate as two 16:9 monitors (which would be 32:9), meaning if you like to “dock” multiple windows on one side like I do, things are a little tougher to squeeze in (as you can see in the photo above). Even if you go from two 1920x1080 monitors to one 3440x1400 ultrawide, you’re losing real estate—though the extra resolution does help. As ugly as dual monitor bezels are, they give you a natural separation between your two workspaces that ultrawides don’t provide. This certainly won’t affect everyone, so it’s all about how you use that space—if you just want multiple open windows you can switch between, an ultrawide provides plenty of real estate. If you like to have lots of windows open “in the background” without constantly switching focus, dual monitors are going to be better. And that’s fine, because gaming is where ultrawide monitors really shine. The extra real estate provides a super immersive experience, and in games like Rise of the Tomb Raider, it’s well worth it—scenes like the opening climb up the mountain and the discovery of the prophet’s tomb almost give me vertigo. I played the first hour of this game slack-jawed at how awesome those 21:9 panoramic shots are. Not every game is perfect about supporting that wide aspect ratio, though. Rise, for example, shows all its cutscenes in 16:9, with black bars on the side. (The newer Shadow of the Tomb Raider does something similar as well.) This makes for a jarring experience when the display switches back and forth, but honestly, I still think the immersiveness of the 21:9 gameplay is still well worth it, especially in cinematic games like the Tomb Raider series. Other games may not get ultrawide support until a few months after release, or may require you to tweak a config file to get it working. Other games, like Overwatch, support ultrawides but actually provide a smaller field of view than 16:9 monitors for fear of giving ultrawide users an “unfair advantage.” So while ultrawide gaming is incredibly immersive, support is a little all over the place—not to mention you’ll need a beefy graphics card to run the higher resolution. But trust me: as much as some of that may seem like a hassle, I’ve become addicted to gaming on an ultrawide, and it’s hard to go back to a regular display without a little disappointment. In the end, both setups will serve gaming and productivity well—you just need to decide which is more important to you. If you do mostly work with a bit of gaming on the side, a dual monitor setup is probably going to be the most effective. Since I use my PC primarily for work, I’ll be sticking with my dual 1200p Dell UltraSharps, but if your rig is primarily a gaming station—or if you just don’t have the space for two monitors—an ultrawide is absolutely the way to go. If you’re ready to make the upgrade (or, rather, side-grade), there are some great displays out there to choose from. 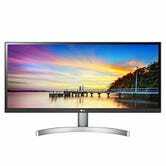 If you’re on a budget, LG’s ~$300 WK600-W provides some decent bang for your buck, with a 29” IPS panel with a resolution of 2560x1080, HDR, and FreeSync, making it ideal for gaming. If you’re willing to give up some of the gaming features for a bigger panel and a higher resolution (which you’ll definitely want if you do any work on the desktop), Dell’s curved UltraSharp U3415W is a great buy for about $580—I tested its slightly more expensive and feature-rich counterpart, the U3419W, for this article, and was very impressed with the quality of both the display and the hardware. 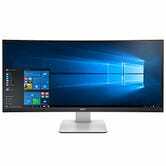 Acer’s XR342CK occupies a nice middle ground in the space, offering a 34” IPS panel at 3440x1440, with a 75Hz FreeSync panel for just slightly smoother gameplay. 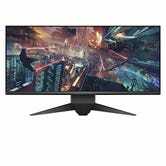 If you’re willing to plop down more cash for the best ultrawide gaming monitor money can buy, check out the Dell Alienware AW3418DW, which provides 34 inches of 1440p, 120Hz goodness with NVIDIA’s G-Sync built in. ASUS makes a similar G-Sync display at only 100Hz, for about $150 cheaper—but prices fluctuate, so buy whichever’s cheapest at the time. 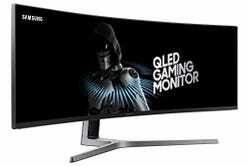 Alternatively, if you really want the best of both worlds, Samsung’s ultra-ultrawide CHG90 is a $1000, 32:9 monitor that’s literally as wide as two monitors, featuring a 144Hz panel, FreeSync, Quantum Dot-enhanced color, and HDR. If you have the space, and don’t want to give up the real estate of two displays, it may be just the ticket.